The Cowboys have been probably the most entertaining team to watch through two games in that both of their games have had exciting, last-minute endings. In Week 1 Dallas should have won at the Jets before Tony Romo choked in the clutch with a crucial fumble, then for some reason throwing at Darrelle Revis in the final minute and seeing that get picked off. So a 24-10 lead turned into a 27-24 crushing loss. Dallas had been 246-1-1 when leading by 14 points in the fourth quarter. Then last week in San Francisco, the fate gods smiled on the Cowboys and Romo, who was getting killed in the media during the week before coming up as clutch as a player can. This time the Cowboys won 27-24 in overtime despite trailing the Niners 24-14 with seven minutes remaining. 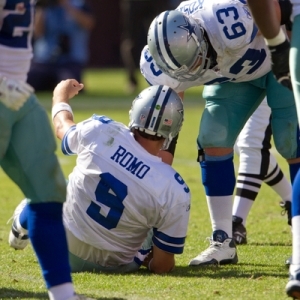 Romo had left the game with a fractured rib and, as it turned out, a punctured lung. But he returned and threw a TD pass to Miles Austin with 6:55 left, spearheading a drive that led to the tying field goal and then he threw a 77-yard pass on the first play of OT to set up the winning field goal. Washington, meanwhile, is one of the NFL’s surprises at 2-0 after being picked to finish last in the NFC East again. The Skins were down eight to Arizona late in the game last week, but Rex Grossman’s fourth-and-three, 18-yard touchdown pass to Santana Moss got the deficit within two with 5:17 remaining. And Graham Gano's 34-yard field goal with 1:45 remaining won it for Washington. The Redskins gouged Arizona for 455 yards and had the ball for 38:30. This line has been down all week because injuries will play a huge role here, especially for Dallas. Of course, the big one is Romo. It’s hard to imagine playing in the NFL with the types of injuries he has, but all signs are that he will give it a go – it all comes down to how much pain he can withstand. Considering he did it vs. the Niners, there’s no reason to think he won’t here. Certainly he will wear major protection around those ribs – an area that Redskins cornerback DeAngelo Hall publicly said he would be targeting Monday night. Cowboys backup QB Jon Kitna says he fully expects Romo to start and Coach Jason Garrett said he sees no reason why Romo wouldn’t. Running back Felix Jones hurt his shoulder vs. the Niners but should play. Starting center Phil Costa hurt his knee but may play. But guard Derrick Dockery is out with an MCL sprain in his knee and a fractured tibia. Dockery moved into the lineup last week because Bill Nagy (knee) was hurt, but Nagy will be back this week. Receiver Miles Austin is expected out through the Cowboys’ bye week with a hamstring injury. He was brilliant against the Skins with nine catches for 143 yards and a career-high three scores. Cornerback Orlando Scandrick also is out. There is some good news, believe it or not. The Cowboys’ top cornerback, Terrence Newman, is expected to make his season debut after missing the first two weeks with a groin injury. And WR Dez Bryant, who definitely is needed with Austin out, should play after missing last week with a thigh injury. The Skins are practically night and day healthy compared to Dallas. Star safety LaRon Landry hasn’t yet played this season because of a hamstring injury but he is hoping to go. He’s really the only big-name worth worrying about on the Redskins. It should be interesting to see if Grossman can put together a third straight good game. He has thrown for at least 290 yards and two scores in the first two weeks, but he did have two picks last week. Actually probably the best game of Grossman’s career came last Dec. 19 when he completed 25-of-43 passes for 322 yards -- his second-highest career total at the time -- and four touchdowns to rally Washington from a 20-point deficit. The Skins still fell 33-30. But this year’s Dallas defense is much different, and aggressive, under new coordinator Rob Ryan. It ranks No. 4 in total defense and second against the rush. The Cowboys are currently six-point favorites, according to NFL odds, with the total at 46, but both of those will certainly change if Romo is surprisingly ruled out. The Redskins are 0-4 ATS in their past four MNF games. The Cowboys are 4-0 ATS in their past four Week 3 games. 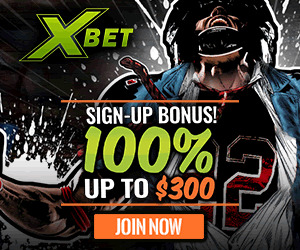 They are 5-0-1 ATS in their past six vs. a team with a winning record. But just 1-5 ATS in their past six MNF games. The ‘over’ is 9-0 in Cowboys’ past nine home games. The ‘under’ is 5-2 in Washington’s past seven road games. Washington is 4-0 ATS in past four meetings in Big D. The ‘under’ is 4-1 in past five meetings. All those Cowboys injuries obviously are concerning, but I’m not a Skins believer and this will be their first road game (it’s the first MNF game between the two since early in the 2005 season). Plus Washington is 2-13 in its last 15 trips to Dallas. Overall the Cowboys have won 20 of the past 27 meetings. I think Ryan’s scheme (and finally a road crowd) frazzles Grossman and Dallas wins by at least a touchdown, so give the points -- if Romo sits, all bets are off. Because I think the Skins won’t do much against the Cowboys offensively and also that Washington is No. 1 in the NFL in third-down defense and fourth in sacks that this will be a fairly low-scoring affair. So take the ‘under,’ which would be a lock if Romo sits.